Half of the two-acre site at Katie's Garden is dedicated to plant production. Most of the plants we sell have been grown by us on site, some from seed, plugs or liners, others starting life as cuttings or divisions. 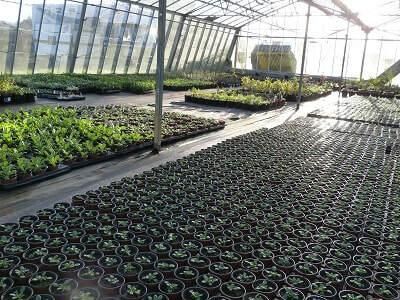 Those plants that we don't start from scratch are mainly sourced as plugs from British nurseries for us to grow on to a suitable size. We grow small batches so that we can offer our customers the widest possible choice on our site. 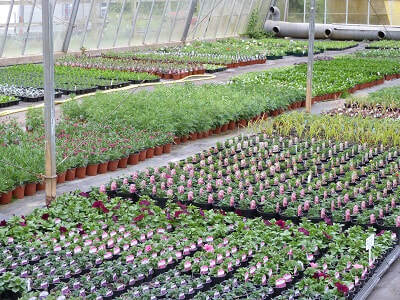 We use top quality compost and slow release fertiliser to get the plants off to a strong start. Our plants are allowed to grow with the seasons at their own pace: better for them, better for the environment and better for you. 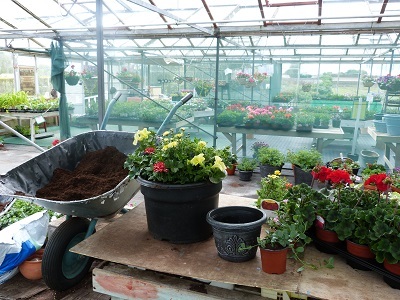 Because we grow our plants ourselves we can be confident of the quality and know that they are hardy enough to take anything the East Anglian climate can throw at them. 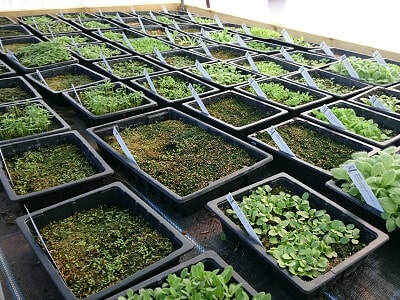 We may not have plants available as early as some of the larger plant sellers, but as they have not been forced they are far more likely to grow into strong, healthy plants. If we don't have what you are after, we are happy to try and source even one plant for customers – just give us a little time for the difficult ones!